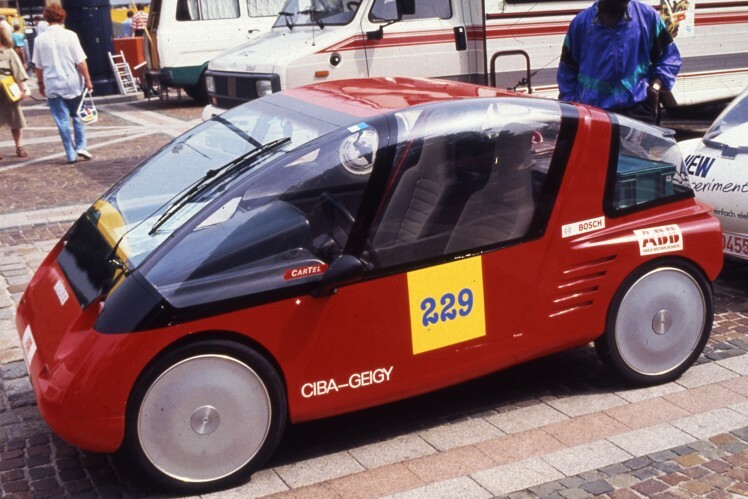 Part 2 of our historical overview illuminates how electromobility developed at different speeds over the decades, from the post-war era to today. Volker Christian Manz is a freelance motor journalist who writes about e-mobility. He has been collecting all about it since more than 30 years. His four-part book series about the long history of electric vehicles will be published in Spain. 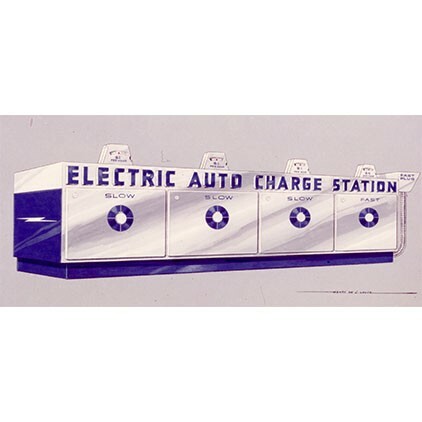 As early as 1941, in the middle of the war, the Berlin journal "The electric vehicle - Scientific journal for the promotion of domestic fuels in public transport" proclaimed that, thanks to unit batteries and advances in technology, everything was in place to enable cities to switch to electric operation after the war. This proved to be a misconception. At the end of World War II, at the zero hour, private transport had come to a standstill in the former combat zones. Resource shortages and supply problems made it impossible for more than a few cars with electric motors and wood gas generators to drive, right up until the 1950s. With rising prosperity, the desire arose for more luxurious and faster cars, not just amongst the population of the newly founded Federal Republic of Germany, but throughout Europe. Enthusiasts cast jealous glances at the large American road cruisers. 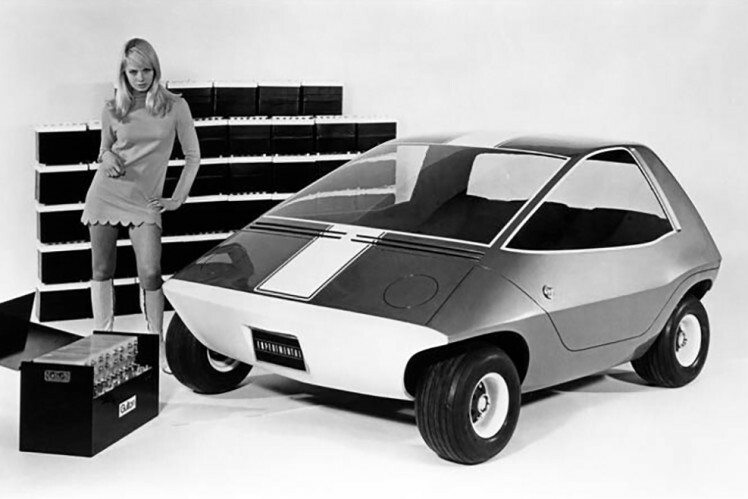 After years of deprivation, it was only natural to dream of the car of the future. 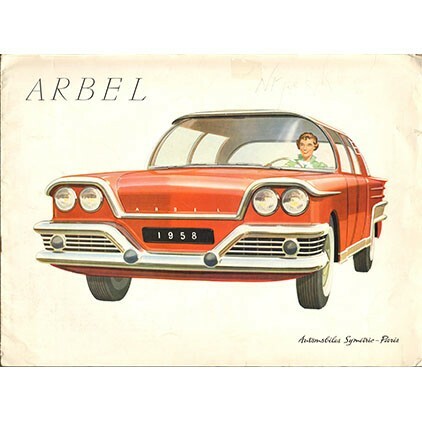 And so the French hybrid electric vehicle manufacturer Automobiles François Arbel presented their vision of an automobile with atomic propulsion in numerous publications in 1958. Despite numerous publications, the idea of an electric vehicle with atomic propulsion and therefore an almost unlimited range remained a dream that could not be realized, even before Arbel's concept was published. At the end of the 1960s, western industrial societies started becoming aware of topics such as global air pollution and cities congested by traffic. The fear of becoming completely dependent on petroleum to ensure mobility was also added to this. This gave the development of electric vehicles new stimuli. There were a variety of drive solutions. 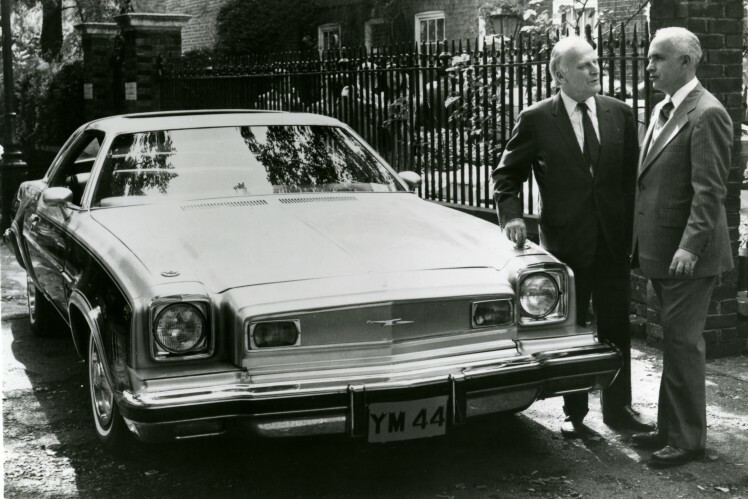 As early as 1967, General Motors, for example, experimented with fuel cells, with silver zinc batteries and the Stirling engine for hybrid drives. Companies such as Ford worked on sodium-sulphur-based batteries, whilst Sony focused on zinc air batteries and the Gulf+Western conglomerate concentrated on zinc chloride cells, precursors of the alkaline batteries which are common today. The automobile developers' objective was to design a small electric car for the city. Starting in 1974, US manufacturer Sebring-Vanguard offered the Citicar, the first electric volume production vehicle of the post-war era. When it came to design, the two-seater was literally "edgy". After the company was sold to Commuter Vehicles Inc., the new owner developed another small delivery vehicle, the Comuta-Van. 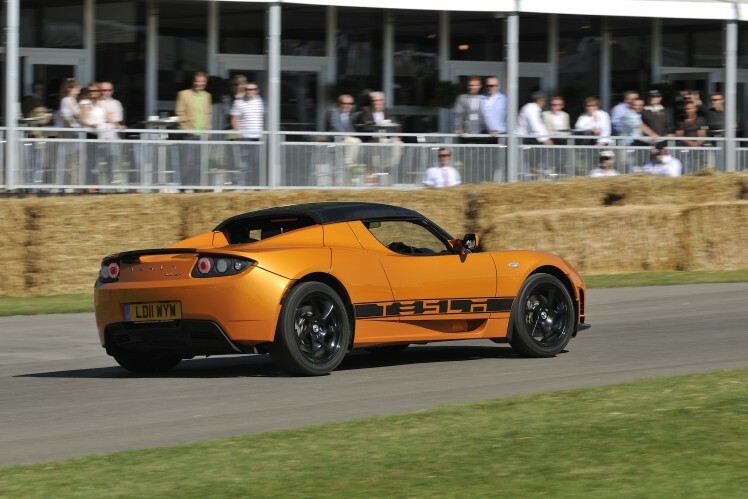 Until Tesla entered the electric car market, the C-Cars were the top-selling street-legal electric cars. 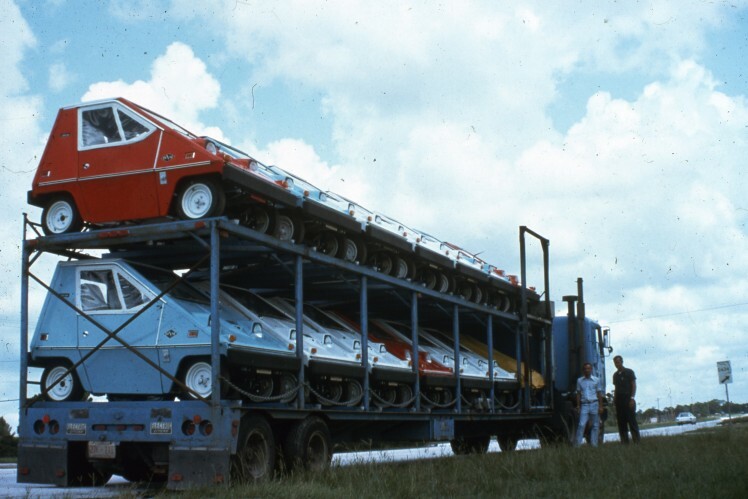 Even though some small electric cars were interesting aerodynamic creations, none of the e-mobiles really had a future. Although politicians enjoyed talking about promoting the worldwide introduction of electric vehicles, usually these announcements were as far as they got. At the start of the 1970s, the renowned Club of Rome warned that resources such as petroleum were finite. In 1973, the first oil (price) crisis shocked western societies. 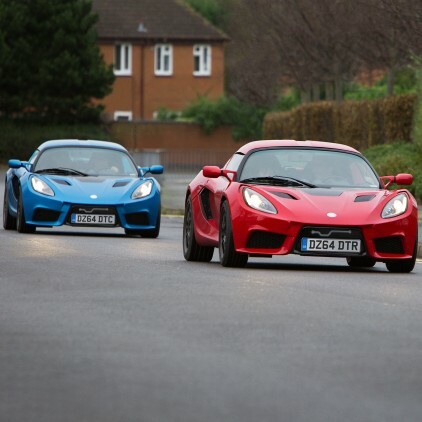 Nonetheless, neither was really sufficient to spur the development of electric vehicles. Instead, the development of electric vehicles fell into a long, deep sleep. The mid-1980s brought new impetus to the electric idea, which lasted until the beginning of the 1990s. Looking to the turn of the millennium, everything was going to be different. 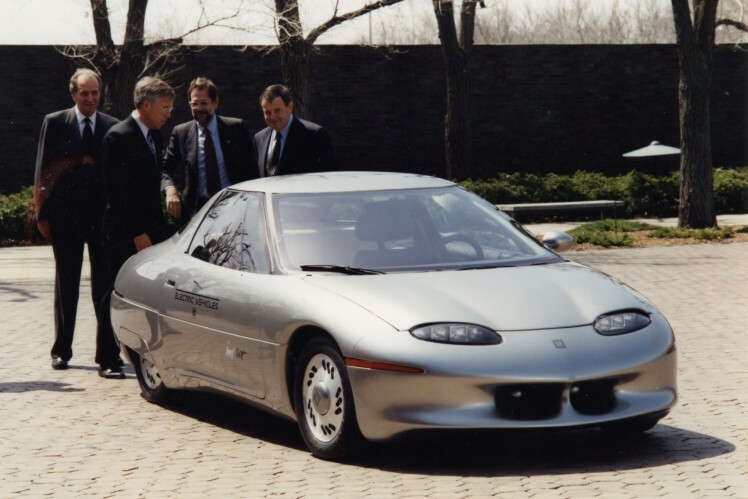 General Motors, for example, offered its General Motors EV1 (Electric Vehicle 1) from 1996 to 1999. The vehicle was a sporty electric coupé, and was only available for leasing. With this vehicle, GM reacted to legal air pollution control requirements on a federal level, primarily in the US state of California. Politicians in California ruled that from 1998 onwards, the introduction of electric vehicles would become mandatory. 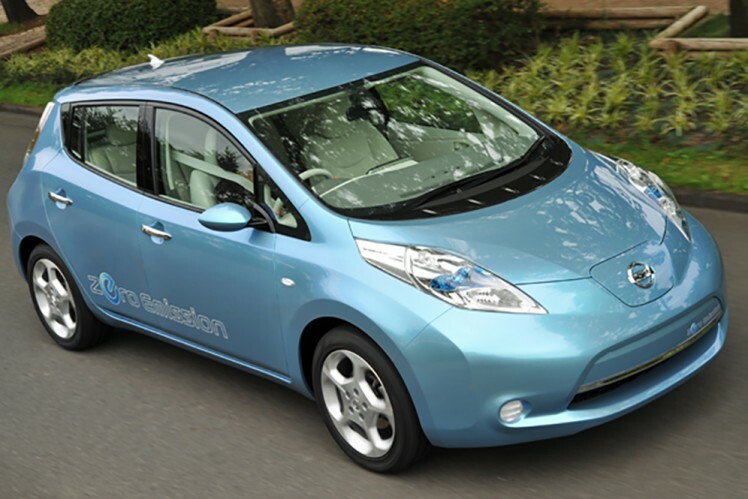 By the new millennium, electric vehicles were expected to reach a double-digit market share. Automotive manufacturers recharged their batteries and got back to developing vehicles to meet these demands. 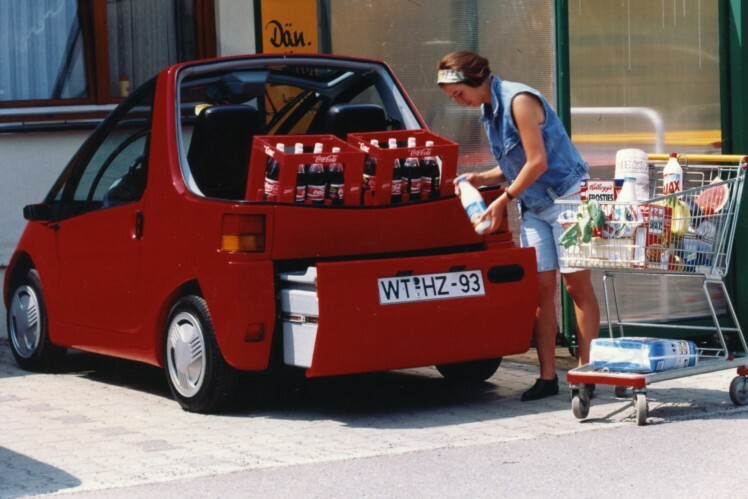 In the 1980s, Europe already had many interesting electric vehicles. The Swiss designer Max Horlacher, for example, is still counted as a pioneer of lightweight construction. From the mid-1980s onwards, he developed more than a dozen electric vehicles made of light composite materials as well as mobile solar charging stations for the solar rally racing "Tour de Sol", which ran from Romanshorn to Geneva. In Germany, the modern Pöhlmann EL and the compact Hotzenblitz were produced from 1993 to 1996. The latter entered volume production and was sold to customers, in contrast to the Pöhlmann. The three-wheeled MiniEl came from Denmark, and, following insolvency and a change in ownership, is sold today under the name CityEL. However, the development of electromobility has only really taken off over the past few years. While in previous decades electric vehicles were developed by tinkerers who, at best, manufactured small batches in their workshops, today large suppliers and classic automotive manufacturers are focusing on developing and constructing electric cars. Additionally, new electric automotive manufacturers are cropping up in China and the USA. Ultimately, the focus is on contributing to environmental and resource protection via electromobility. Meanwhile, there are small cars as well as exciting sport and luxury vehicles with high ranges and performance. Ten years ago, who would have thought that Formula E could exist alongside Formula 1? 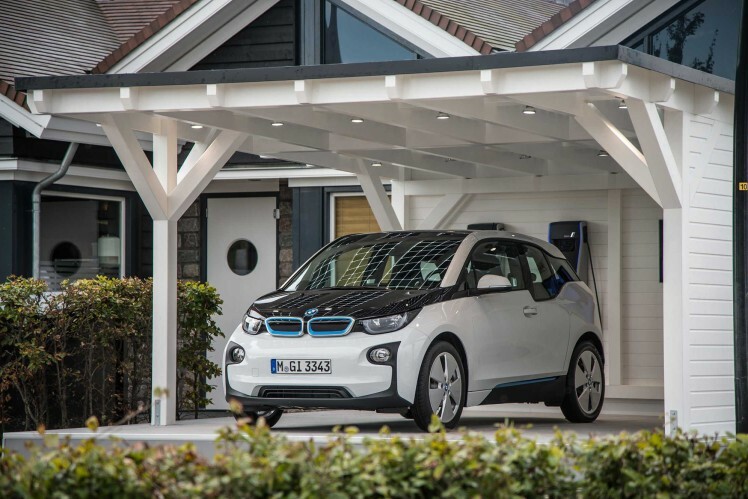 Countries such as Norway want to ensure complete conversion to electric vehicles. The northern European country is already setting an example of how to shape the transition to an electromobile society, assisted by dynamic politics. Germany is also planning a complete energy turnaround. There are many companies from China that are generally not well-known in the West which are already producing their electric vehicles in great quantities and offering them at attractive prices, such as Beijing Auto, BYD, Chery and ZhiDou. Tesla, founded in Palo Alto, California, in 2003, is the most famous company that solely produces electric cars. Regenerative energy generation is just as important as the electric vehicles themselves in ensuring that electromobility really is environmentally friendly. The objectives of raising the quality of life in our cities, keeping the air clean and saving resources are accelerating the development of electromobility. In addition, increasingly strict legal regulations on environmental protection are being implemented. Equally, it is predicted that gasoline and diesel will become drastically more expensive, regardless of the size of the currently known and estimated oil stocks. In the approaching era of interconnected and autonomous mobility, maximum velocity is becoming less important. Achieving the highest possible level of safety and greatest possible comfort are taking its place. In light of advancing urbanization worldwide, you don't need a crystal ball to see that the future belongs to autonomous city vehicles with electric drives. Gustave Trouvé may have been thinking along these lines when he made his rounds through Paris on his electric tricycle in 1881.